The studio behind some of 2018’s most notably vibrant titles, Nolimit City starts the year with an unconventional approach towards a classic theme known to many in several beloved titles that drive home. A slot game packed with features that takes a different twist to the typical mobile presentation. Nolimit City is proud to present its latest title – FRUITS! Fruits has been adopted to deliver a lengthy player journey and experience multiple features during each sitting. With 116 fixed lines and a 22-33-33 reel area, Fruits will instantly stand out for being unique its presentation but completely familiar in its playstyle, although also throws in a few surprises! 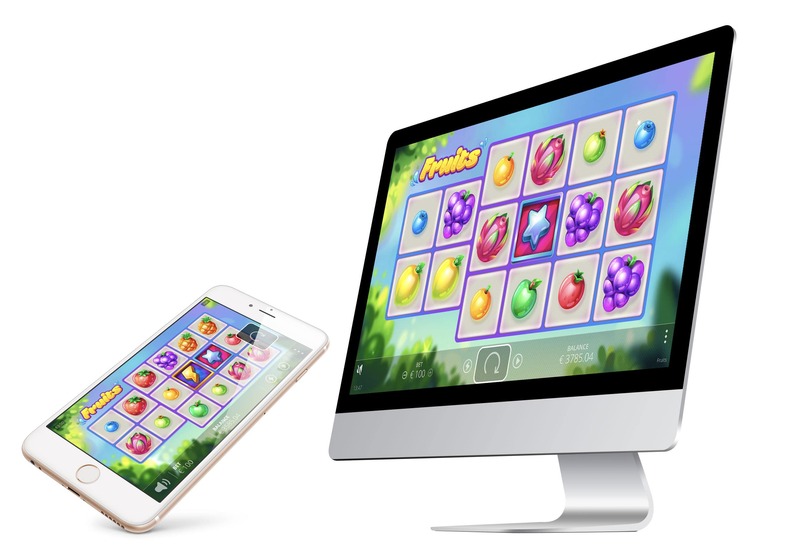 With a random Sticky Fruit Respin feature in the base game that gives the opportunity to pack a screen full of your favourite fruit and the Mystery Wrapper feature appearing on occasion to award a potentially huge payline win, Fruits offers the right burst of flavour to keep players entertained before they discover the coveted Lightning Rounds feature – a bonus round that allows to increase Multiplier bet beyond 350x! This will be the first of several titles to be released throughout the year by Nolimit City. The core focus is aimed towards delivering a consistent roadmap during 2019 - a goal to release one game per month which is a strong statement by the Software Provider. Fruits is available on all Nolimit City partners from January 30th. Nolimit City is a Malta-Stockholm based online casino platform and game developer, offering high-quality content and services to operators around the world. The company has designed and developed its platform in-house from the ground-up; delivering a strong and powerful engine that can take large volumes of play and social interaction in its stride, on both desktop and mobile. It is coupled to an innovative back office and bonus toolbox, providing a one-stop shop for our partners. It is hugely flexible, and can be tailored to individual operator requirements and needs. We employ some of the smartest minds and artistic talents in the industry; people passionate about gambling and technology. They have helped us to create a portfolio bursting with fun and engaging games for both casino and lottery operators.